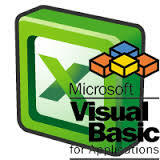 The idea of the VBA library is to systematize the most used self-written functions everyone is using in his daily coding life into a few modules, which may be used by anyone, who is coding for his daily bread and butter in VBA. Yes, you probably do not need to write a function to print an array in the immediate window in every project you are writing or you do not want to go through the difficult procedure with 5-6 clicks to delete a named range in excel. Nope, once this is done, it should stay. where I would start publishing my VBA personal code. The one, that I am using on my daily activities and the one that I really consider valuable. After some time, once I have passed the milestone of 50 functions and subs, I will go over the code and systematize it all over. I would be flattered, if someone, working daily with VBA considers the code valuable and is willing to contribute with code, procedures or even ideas! Make pull requests to contribute.